Enticing Delight. 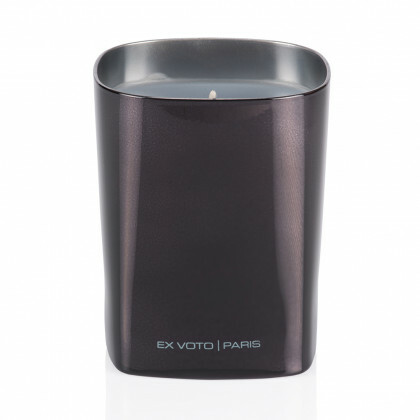 A private luxury edition in signature Amber, Ginger and Leather. 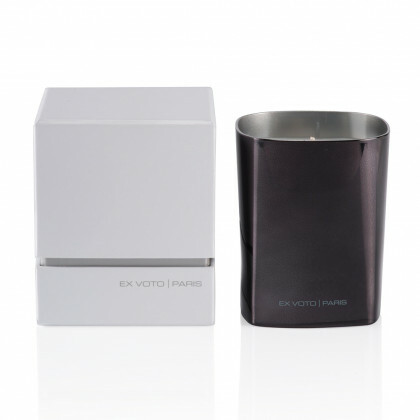 The Silver collection dresses three of the Ex Voto Paris best selling fragrances in sleek and nuanced metallic-toned glass candleholders - silver, anthracite and black, adding an extra dose of appeal to the products. 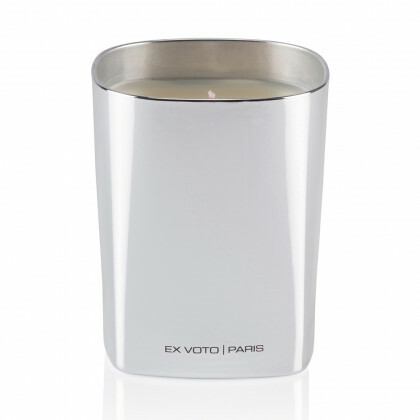 Tied with a bespoke Ex Voto Paris ribbon, the Silver candles are presented in white gift boxes enhancing the purity of the line. 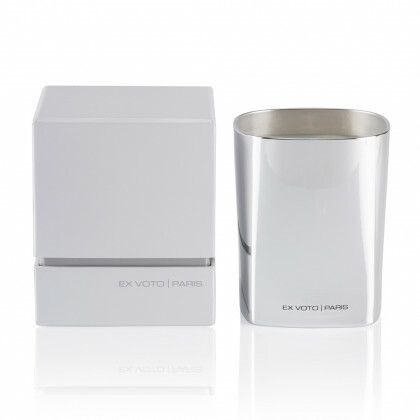 A minimalistic interpretation of silver tones embracing three exceptional blends.